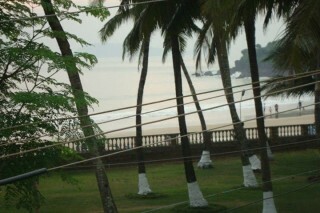 Located right on Bogmalo beach, this guest house offers budget properties for guests. The room on offer is furnished with a comfortable double bed, a couple of chairs along with a coffee table for added comfort, a mirrored cupboard, a refrigerator for additional convenience, and a TV to keep guests entertained. Laminated wood flooring adds warmth to the ambience. You can see Bogmalo beach sitting in the front porch—simply pull up a chair, put your feet up, and listen to the sound of the waves. This place consists of one room, attached bathroom, and a kitchen. 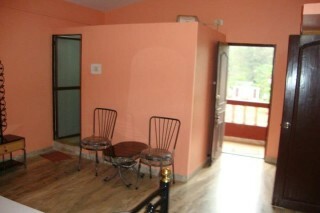 The interiors are neat there is moderate furniture present for a travellers comfortable stay. 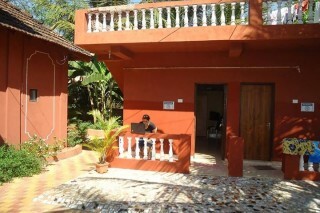 Television and wireless internet facilities are provided. 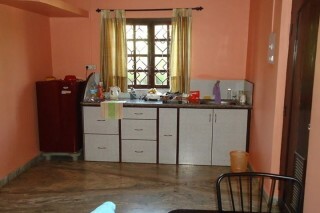 The rooms are spacious and the bathrooms are clean, there is a kitchen where you can cook your favourite dishes.